Send lots of letters – campers love to receive mail! Letters are fun to receive and they keep, while phone calls are gone right after they happen. You are welcome to send a letter in advance. Please remember to use your child’s full name when addressing your letters to save time for the office staff. Bunk numbers will be emailed following your son’s arrival at camp and may also be found in myManitou after the session begins. Your child will be encouraged to write home at least twice a week. If you want to receive mail from your child, make it as as easy as possible for them. No matter their age, every camper should come with pre-addressed, stamped envelopes. This prevents rejected letters due to illegible, handwritten mailing addresses. Should you receive a negative comment in a letter from your camper, please take it in stride. Campers often use their letter writing to express frustration over a specific incident that would have already been handled a few days prior to your receipt of the letter. Nonetheless, we will be happy to hear from you concerning any matter that you feel requires special attention. Your message will be printed out and left on your camper’s bunk. You might also enjoy viewing the photos and news portion of your online myManitou account. Cell-phones are not permitted at camp. Please respect the camp rules. Part of the camp experience involves developing independent living skills and having a cell phone for communication with home will only take away from your son’s camp experience. 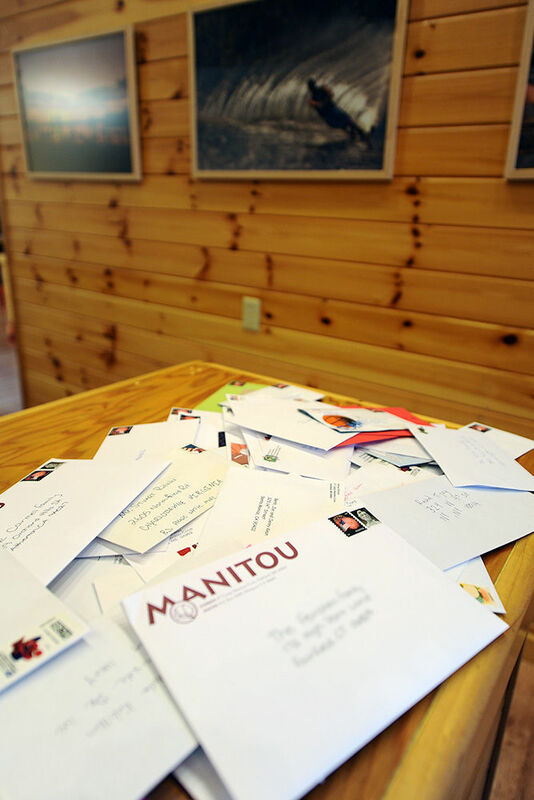 Send lots of letters – campers love to receive mail!